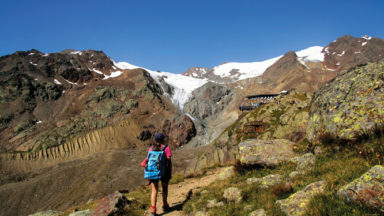 Guidebook to 70 walking routes in the Écrins national park in the French Alps. The Massif des Écrins is mostly a national park, with summits over 3000m high. Routes follow well-marked trails in the Romanche, Vallées de la Guisane, Vallouise, du Vénéon and Valgaudemar. July to mid-September temperatures in the Ecrins range from 25°C to 28°C, but heavy rain and even snowfall can occur. Accommodation may be busy during this period. September is often more settled than July or August, but with lower temperatures. Walks centred on valley bases in Vallée de la Romanche, Vallée de la Guisane, Vallée de la Vallouise, Valgaudemar, Valjouffrey and Vallée du Vénéon. Suitable for all experienced walkers, from alpine novices to experts. All walks are graded for difficulty. 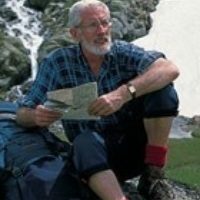 This guidebooks describes 70 mountain walking routes in the Ecrins National Park. Easily reached from Grenoble, the Massif des Écrins is one of the most spectacular regions in all the Alps. Most of the area is a national park, containing bold mountains hung with glaciers, and more than 100 summits over 3000m high. The park offers a profusion of alpine flowers, and romantic old villages and hamlets huddle in the valleys. 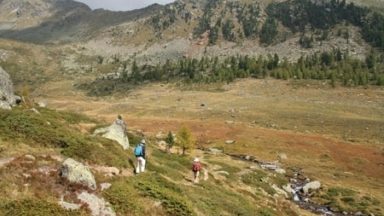 This is mountain country par excellence, but hundreds of kilometres of well-marked trails and a network of alpine huts make the Ecrins accessible to walkers. 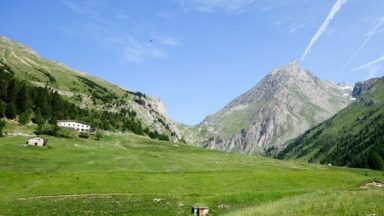 The highest peaks form a block at the very heart of the range, with a diverse assortment of valleys surrounding or spreading from it – Vallée de la Romanche, Vallée de la Guisane, Vallée de la Vallouise, Valgaudemar, Valjouffrey and Vallée du Vénéon. For this second edition of the guide, Kev Reynolds has chosen the best routes from each of these valley bases. All the walks included in this guide may be followed using just one map: Carte de Randonnées Écrins published by Rando Éditions at a scale of 1:50,000 (1cm = 500m or roughly 1¼in = 1 mile). This may be obtained from major map stockists in the UK (addresses given in Appendix C), and is available in most valley centres within the Écrins region. For walkers who prefer the greater detail on 1:25,000 scale maps (1cm = 250m or roughly 2½in = 1 mile), the IGN publishes no less than six sheets to cover the same area. Headed TOP 25, these are: 3535 OT Névache; 3536 OT Briançon; 3435 ET Valloire; 3436 ET Meije-Pelvoux; 3335 ET Le Bourg d’Oisans-L’Alpe d’Huez; and 3336 ET Les 2 Alpes. This second edition provides a fantastic walker's resource to the Massif de Ecrins. The Dauphine Alps being that little bit further south, are often blessed with better weather and are often quicker to clear. This guide is packed with good and useful information whether you are a walker, rock climber or Via Ferrata enthusiast or rafter, paddler or biker. It s well put together making it easy to use. 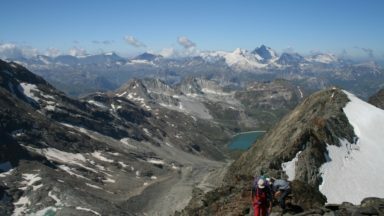 Kev uses the simple grading system of 1-3, which allows for all abilities from those wanting an adventurous and challenging route, requiring reasonable Alpine walking experience, to those undertaking their first ever Alpine walk. What all the walks share in common, whatever their grade, is an objective of some description. This may be a high pass across the watershed, a fantastic panoramic viewpoint or reaching a mountain lake or hut. The guide is stuffed full of useful local information which is well presented and easy to use. The topos are well supported by photographs. There are longer multi-day hut to hut possibilities and general advice on Alpine walking and good background and safety information. 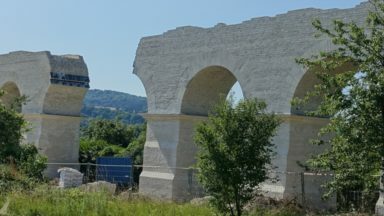 This is an excellent update and a viable resource for anybody planning a visit to the region.